There was no conventional, linear causal link between the patient’s dream and the beetle tapping on the window the next day. But there was clearly an equivalence and meaningful connection between the two co-related events which was not based on linear causality In addition, the patient, as an active, egoic agent in space and time, didn’t cause or create the synchronicity, which was acausal and happened of its own accord. And yet, in some mysterious way, the beetle tapping on the window was intimately related to her. Synchronicities are crystallizations in linear time of a nonlinear, acausal, atemporal process, windows into the realm outside of time and space, a world in which we ourselves are active participants in and of “the one creative act.” Synchronicities are both timeless and temporal, which is to say they are possessed of a double nature with regard to time. Synchronicities can be deeply religious and mystical experiences, expanding our sense of who we imagine we are and transforming our intimate relationship with ourselves. Synchronicities are expressions of the dreamlike nature of reality – like with Jung’s patient, our night dreams can manifest in our waking life, but also in the sense that, just like with our dreams at night, our inner process is given shape to through the seemingly outer world. In a night dream, the seemingly outer dreamscape is synchronistically reflecting the internal psyche of the dreamer, as the dream is not separate from the inner world but is nothing other than the psyche within apparently externalized. There is an instantaneous correspondence between the inner and outer worlds not because they are two separate dimensions that are communicating faster than the speed of light, but because they are inseparably united as one seamless, already unified, whole continuum. Being unmediated manifestations of the dreamlike nature of reality, we can interpret synchronicities just like we would interpret a dream. Mythologically speaking, a scarab is an archetypal symbol which represents, as in ancient Egypt, death/rebirth and transformation. Gold symbolically represents the highest value. Being offered a golden scarab in both her night and waking dreams was a form of synchronistic notarization by the archetype, highlighting its arrival on the scene. The synchronicity was an expression of – as well as the doorway through which – Jung’s patient was personally enacting an archetypal process of the renewal of consciousness. The synchronicity bore the stamp of the excited archetype, revealing to her and making real in time that she was actually taking part in a timeless, mythic drama of death and rebirth. Catapulting her out of the limited frame of reference of the conceptual mind, the synchronistic moment helped her access a deeper part of herself, as well as re-connecting her to the universe at large in which she lived. Synchronicities are both the vehicle through which and an expression of the fact that we are waking up to the dreamlike nature of the universe. Being genuine wake up calls from the awakened part of ourselves, synchronicities are emanations of the part of ourselves that is waking up projected into time. What I call the “deeper, dreaming Self,” is the part of us that is the dreamer of both our night and waking dreams. Being “nonlocal,” which is to say not bound by the conventional laws of space and time, as well as being multi-dimensional, the deeper, dreaming Self can simultaneously express itself through inner experiences such as inspirations and dreams as well as by attracting events in the seemingly outer world so as to coagulate itself in embodied form. The deeper, dreaming Self was simultaneously the dreamer of the golden scarab in the patient’s night dream, the inspiration for her to tell Jung the dream in their session, the source of the beetle which was tapping on the window at exactly the right moment, the impulse which animated Jung to open the window, catch the beetle, offer it to his patient and say what he said, as well as the patient’s inner, revelatory experience of transformation which was the result. Being multi-faceted and multi-channeled, the deeper, dreaming Self nonlocally arranged all these dimensions enfolded within the field into a singular psycho-physical experiential gestalt in which the oneness of spirit and matter became visible. Interestingly, the synchronicity with Jung and his patient was an experience in which Jung himself played an active, participatory role. As the synchronistic moment was irrupting into time, he found himself dreamed up by his patient to pick up and play out a role in her dreaming process. At the moment of synchronicity, Jung went from passively sitting in the audience hearing about her process to being drafted into the act and stepping into a scene in the play of his patient’s mind. Not merely witnessing his patient’s synchronicity, he found himself spontaneously enacting it with her, playing his part and saying his lines perfectly, as if sent by central casting. In offering her the precious jewel of a golden scarab symbolizing death and rebirth, Jung spontaneously found himself being an open instrument for the synchronistic universe to manifest itself through him into materialized form and express itself in our world. Jung and his patient were reciprocally collaborating in dreaming up their shared synchronistic event together. They became “quantum entangled,” interdependently and inseparably merged in the co-creation of each other’s synchronicity. The synchronicity was not monopolized by Jung’s patient, as it didn’t solely belong just to her. Participating in his patient’s synchronicity, Jung was at the same time just as much having a living experience in and of his own synchronicity. Even though the synchronicity was a reflection of his patient’s inner landscape, it was simultaneously a synchronistic reflection of a deeper process taking place within Jung, too. For Jung to be hearing a patient’s dream of a golden scarab and to have a golden scarab fly into his office was an externalized, synchronistic reflection of the archetypal process of death and rebirth which was happening inside of him. It is noteworthy that a synchronistic event can collectively reflect and be mutually shared by more than one person in both similar and singularly unique ways. To experience a synchronistic event is to necessarily be changed at our core. No one could have convinced Jung’s patient that her synchronistic experience should be dismissed as a mere coincidence, as she had an inner knowing of its meaningfulness due to how it transformed her. She no longer lived in a dis-enchanted universe. Synchronicities by their very nature demand our active participation, as they are not something we can just passively watch and remain unaffected by. Imbued with a deeper fragrance of meaning, a synchronistic event is a revelation which contains within it a potency to insinuate itself into our very being and alter us from within. Synchronicities can transform us on a cellular level, as they are crystallizations into and out of the space of consciousness itself that have form-ulated themselves into our dimension as an expression of the part of us that is already awakened. Synchronicities inherent revelatory nature is ultimately offering us the realization that we are playing an active, participatory and hence, co-creative role in the unfoldment of the universe. Registering the revelation embedded in the synchronistic moment is to necessarily have an expansion of consciousness, as the lens through which we view, interpret and place meaning on the nature of our experience has broadened by and through the very synchronicity itself. Because it is rich in the nutrient of meaning, a synchronistic event affects and deepens our state of awareness and perception, which is another way of saying that synchronicities are expressions of consciousness itself. Just like symbols in a dream, synchronicities do not exist objectively, separate from our own mind. Synchronistic moments feel like grace, as they induce in us the feeling that we are right where we are supposed to be. Being numinous, synchronicities have a strong feeling component and emotional charge, which is both an expression of while simultaneously flowing into, influencing and altering the surrounding field of consciousness. A manifestation of the field as a whole, synchronicities are a field phenomenon, and to receive their full blessing we need to relate to them as such. Synchronicities are a reflection of the deeper, underlying nonlocal field of consciousness waking up to itself through us. The gift of synchronicity cannot be realized from the point of view which imagines we exist as a separate person who is “other” than the field in which we are arising. Jung and his patient’s shared synchronistic event was a living experience of being connected to something greater than themselves. Synchronicities are acute outbreaks of the archetypal, collective mind-field crystallized into our personal sphere through the third-dimensional medium of time and space. Synchronicities are glimpses of transcendental unity, what in Latin is called the “unus mundus,” the one world. The unus mundus is the unitary and unifying realm which underlies, pervades and contains all dimensions of our experience. The unus mundus, just like the deeper, dreaming Self, is a psycho-physical reality, a universe beyond time and outside of space in which psyche and matter are inseparably co-joined as interconnected parts of a deeper, unified field. The unus mundus is a world in which we have already woken up. It is a realm beyond duality, beyond the opposites, beyond even the concept of beyond. In the unus mundus, opposites like matter and psyche form the outer and inner aspects of the same transcendental reality. Revealing its designs through events in the outer world as well as the psychic landscape within, the unus mundus is actualizing itself in time as we divine our wholeness through the synchronistic clues encoded within the fabric of experience itself. Paradoxically, synchronicities are a living, unmediated materialization of our unconscious, while simultaneously being a nonlocalized manifestation of the part of us that’s waking up into a more expanded consciousness. Like a genuine symbol, synchronicities are utterances of the soul, as they contain, are an expression of and unite the opposites. Synchronicities are soul-making in action. Synchronicities occur when we step out of the personal dimension of our experience and access what is called the archetypal dimension of experience. If we are absorbed in and identified with the person-alistic perspective, we person-alize our experience, imagining we exist as a separate person isolated from the space around us. We thus become entranced into a particularized point of view which develops a seemingly autonomous life of its own and becomes a self-reinforcing feedback loop, a true “self” fulfilling prophecy. To become identified with the fixed reference point of the separate self limits our freedom, entraps our creative potency and hinders our compassion. To the extent we recognize the dreamlike nature of our situation, however, we step out of a person-alistic and reductive viewpoint based on linear causality (i.e., the perspective of the illusory skin-encapsulated ego) into a more archetypal perspective in which we find ourselves playing roles in an eternal, mythic and divine drama of incarnation. The synchronicity with Jung’s patient was revealing something not just about her inner, personal process, but was a revelation of a deep, archetypal process which exists within the collective unconscious itself. The synchronicity was simultaneously revealing a dynamic which is both personal and collective – it is at the moment of being truly deadlocked that a deeper archetypal dynamic within the psyche becomes activated and nonlocally expresses itself synchronistically in and through the canvas of the seemingly outer world, as well as within ourselves. To quote Jung, “The patient with the scarab found herself in an ‘impossible’ situation because the treatment had got stuck and there seemed to be no way out of the impasse…It is this kind of situation that constellates the archetype with the greatest regularity.” What is true individually is also true collectively – when we, as a species, find ourselves in an “impossible” situation with no exit plan, it is this very kind of dilemma which constellates the healing and revelatory archetypal realm to become synchronistically activated. Though it sounds like a big, fancy word, an “archetype” is something we all experience and know intimately from the inside. Indefinable, an archetype is like a psychological instinct or informational field of influence which patterns our psyche, our experience of the world around us and how we experience ourselves. Jung calls archetypes “typical modes of apprehension.” An archetype is like the underlying grid-line or blue print which in-forms and structures how we perceive, interpret and respond to our experience. The personal dimension literalizes our experiences, while the archetypal dimension symbolizes, mythologizes and dreams into our experiences with the utmost creative imagination. Archetypes are the image-making factor in the psyche, informing and giving shape to the images in our mind and the dreams of our soul, and as such, they insist on being approached imaginatively. When an archetype gets activated within us, it nonlocally constellates itself outwardly in the surrounding field. Conversely, when an archetype is activated in the seemingly outer field, it simultaneously constellates and is a synchronistic reflection of the same activated archetype within ourselves. An activated archetype’s magnetic field-of-force orders and organizes the entire field to synchronistically re-arrange itself so as to embody the archetype “in form.” The archetype is thus pure inform-ation. Archetypes nonlocally exert their in-forming influence through the frictionless and super-fluid medium of the collective unconscious itself. 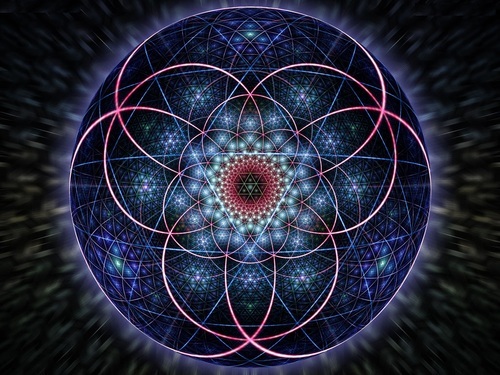 The archetypal, synchronistic realm vaporizes illusory boundaries – revealing spirit – and builds bridges which mediate and connect the inner and the outer, the conscious and the unconscious, and dreaming and waking. Synchronicities occur at times of deep archetypal excitation in the field, which is to say moments of crisis, transition, creative tension and dynamic intensity. The archetype that gets activated by the field precipitates itself into the field as a synchronistic expression of the very field which activated it. Periods of disturbance in our world are both a manifestation of and trigger for a corresponding archetype in the collective unconscious of humanity to draw to itself everything it needs to synchronistically render itself visible in form. Times of distress, both individually and collectively, catalyze a deeper, self-regulating and healing archetypal process to awaken within the human psyche which simultaneously expresses itself throughout the whole universe. There is a profound and intimate synchronistic correlation between what is happening deep within the collective unconscious of humanity and what is playing out collectively on the world stage. Just like a dream, whatever we are unconscious of gets dreamed up and out-pictured in and as our waking dreamscape. What plays out in one person’s night dream is a reflection of their inner process; similarly what is getting dreamed up by all six and a half billion of us on the world stage is a reflection of a process going on deep inside of the collective unconscious of humanity. When a formless archetype of the collective unconscious is at the point of becoming conscious and incarnating, it has an energetic charge that will seize people, get them in its grip and compel them to act itself out so as to give shape and form to itself. What we are unconscious of and don’t remember, we act out in the outside world. Like the underlying, invisible axial system is the skeleton of an emerging crystal, the archetypes of the collective unconscious in-form, pattern and structure our unconscious itself. The inner archetypal dimension is revealing itself by influencing and animating our unconscious, causing us to act out and give shape to the archetypal realm in the world theater. This is happening both individually and collectively on the world stage. Archetypes can possess individuals or whole nations. Archetypes bedazzle consciousness in such a way that it becomes blind to its own assumed standpoint. When an archetype takes over a person, group or nation, they can be said to be the incarnation or the revelation of the formless, transpersonal archetype in human form, as they synchronistically em-body and mirror back to us this archetypal dynamic which exists deep inside of all of us. When the archetypal realm incarnates, something of the eternal, imperishable dimension synchronistically reveals itself to us as it enters the realm of time and embodiment. Synchronicities are revelations in the nick of time. As our present moment in time indicates, whether we continue to destroy ourselves or wake ourselves up depends upon whether or not we recognize what is synchronistically being revealed to us. What we don’t remember, we aren’t associated with. Our dis-memberment from our experience and dis-association from a part of ourselves polarizes and empowers our split-off part to project itself outside of ourselves and express itself by acting itself out in the outside world. We will either become possessed by our split-off part and unconsciously act it out in the world, or we will project it out so that we dream up the seemingly outer universe to act it out for us. This is another way of saying that our waking universe is a function of our consciousness, or lack thereof. When an archetype synchronistically manifests itself in full-bodied form in the outside world, its full blown localized revelation in time is necessarily correlated to – and an unmediated manifestation of – a more fundamental, nonlocal condition which simultaneously exists both outside of time and inside the timeless part of ourselves. An archetype synchronistically revealing itself in the outside world is a reflection that this same condition is in the of being inwardly realized. The outer, synchronistic materialization of the inner, archetypal process is itself the vehicle through which the archetypal process both actualizes itself in space and time and is inwardly realized. The spirit that animates synchronicities, if we can speak of such immaterial matters, is the same spirit which inspires our dreams at night. This spirit, the aforementioned “unus mundus” or “deeper, dreaming Self,” is dreaming our dreams at night, our life during the day, as well as ourselves. The unus mundus/deeper, dreaming Self arranges situations in our life, both micro and macrocosmically as a way of synchronizing itself, which propels us into greater alignment with the implicate field of open possibility, as we refine and re-find ourselves in each moment anew. To the extent we realize the dreamlike nature of reality, the universe becomes a continually unfolding oracle as we become a revelation to ourselves. In a synchronicity, the conjunction of two cosmic principles, namely psyche and matter, takes place, and in the process a real exchange of attributes occurs as well. In such situations the psyche behaves as if it were material and matter behaves as if it were an expression of the psyche. Synchronicities are emanations of the sacred marriage in alchemy, where the opposites of spirit and matter reciprocally inform each other as they unite in a timeless embrace. Instead of orienting ourselves one-sidedly just to the spiritual to the exclusion of matter, or material matters disconnected from spirit, Jung felt that the psychological/spiritual task of our unique time in history is to live and incarnate the realization of the unity of spirit and matter which synchronistic events are revealing to us. Instead of, or in addition to the spirit coming down from the heavens above, spirit’s guidance is emerging and rising up from within matter itself and is waiting to be recognized. Subjectively, synchronistic phenomena evoke in us the feeling that we are not alone, that there is a silent partner that we share our lives with who is dreaming with us. It is as if there is an autonomous factor deep within us arranging our experiences so as to help us to wake up. Part and parcel of a synchronistic event’s numinosity is its sense of meeting the “wholly other,” whether it be within ourselves or through the medium of the outside world. Paradoxically, through synchronicities we connect with ourselves by becoming introduced to the part of ourselves which is other than who we imagine ourselves to be. Recognizing the synchronistic matrix which patterns our experience empowers us to be creative, co-operative and active partners in our own awakening process. The more we are open for synchronicities to happen, the more they happen, for synchronicities, just like symbols in a dream, are not separate from the dreamer, which in this case is us. To the extent we recognize the dreamlike nature of our waking universe is the degree to which our life is experienced as synchronistic. 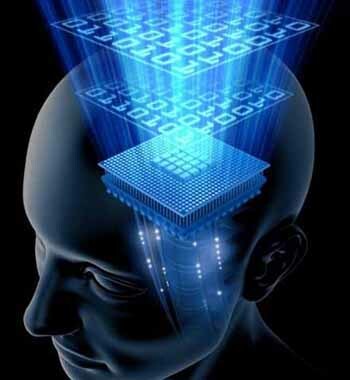 Once we become lucid in our waking dream and recognize that we live in a synchronistic universe by our very nature, the universe has no choice but to shape-shift and reflect back our realization by materializing itself synchronistically. Being initiatory rites of passage, synchronicities empower us to view life synchronistically. Seeing through synchronistic eyes has nothing to do with overlaying a fabricated interpretation upon events to make them appear as if they are synchronistic. Seeing synchronistically simply involves recognizing the underlying synchronistic web which is always weaving itself through our experience. This is analogous to how being inside of a night dream and viewing the dream as if it were a dream would have the instantaneous effect of allowing the dream to more profoundly manifest its dreamlike nature. Changing our perspective within the dream didn’t cause the dream to become a dream; the dream had always been a dream, we just hadn’t recognized it before. Similarly, we live in a synchronistic universe, and by recognizing this, we allow the universe to manifest itself more synchronistically. Synchronicities are like “cultures” from another dimension which create and enrich culture in ours. Like a bug in the system, synchronicities are cultures which virally propagate themselves through the field of consciousness, which means that synchronistic awareness is contagious. Synchronistic awareness, the consciousness that recognizes the synchronistic nature of the universe and has become lucid in the dream of life, is something we can turn each other onto and catch from one another. Synchronistic awareness is the invocation and revelation of the “eternal presence of the one creative act” in which we are all continually sharing, partaking and participating. Synchronistic awareness activates and reproduces itself in and through the field, as it is self-generating in nature, which is to say it is birthing itself through our consciousness into the world. Just like Jung, we can help each other catch the “bug” of synchronicity. We can co-operatively cultivate a net-work of allies who creatively collaborate in bringing forth the precious jewel of synchronicity. The archetypal field becomes greatly potentiated for synchronicities when we get “in sync” with other people who are also waking up to the synchronistic universe. A field which is lubricated for stimulating and stabilizing lucidity gets conjured up when we get in phase with each other through the shared, open heart of synchronistic awareness. Co-operatively engaged, synchronistic awareness activates our collective genius and creates true culture in that it effortlessly, endlessly, nonlocally and virally transmits and fractally reiterates itself throughout time and space. Shared synchronistic awareness magnetically draws and attracts the universe into itself, materializing itself in, as and through life itself, creating a revelatory universe in the process.